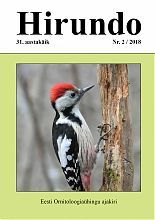 “Hirundo”, the journal of the Estonian Ornithological Society, is issued twice a year. It publishes ornithological papers, comments and instructions, as well as EOS news. 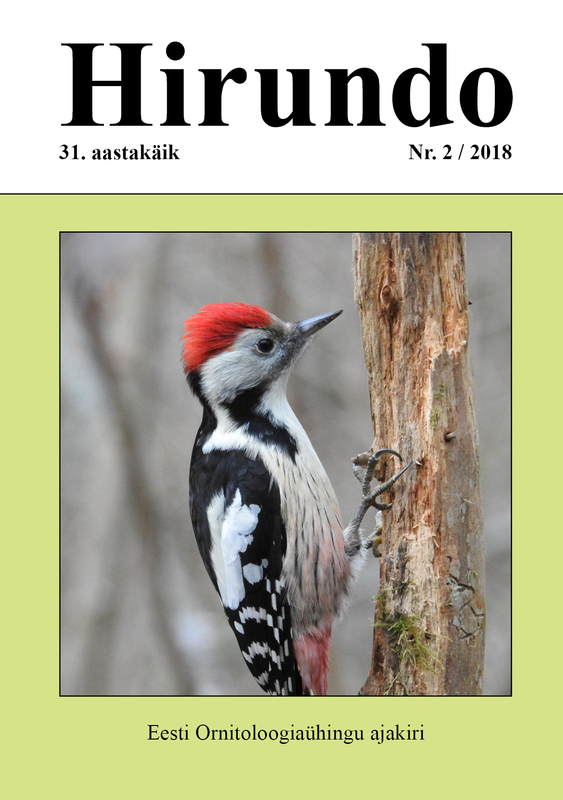 The journal is focused on original studies and discussion about Estonian birds, their numbers, biology and conservation. Lehtsaar, O. & Tuul, S.
Kirss, M. & Väli, Ü.
Aua, J. & Ots, A.